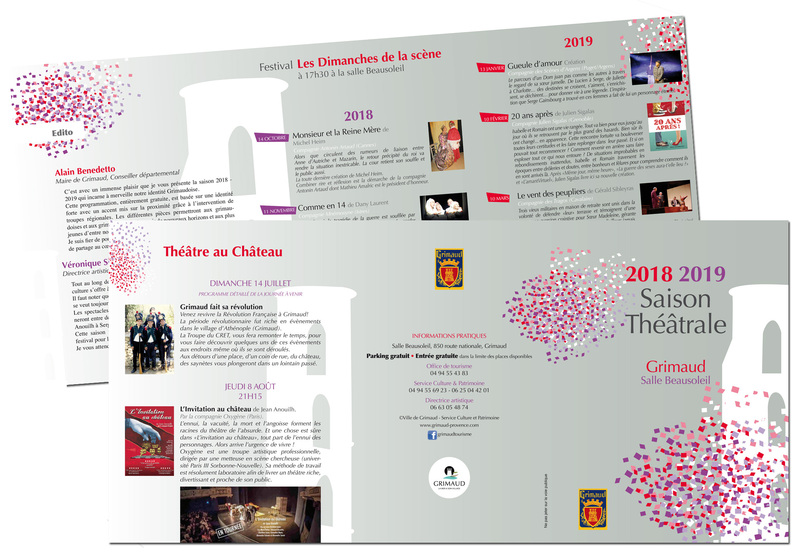 The municipality of Grimaud has renewed its confidence in Ideogram Design for the publication of the leaflet and the poster for the theater season 2018-2019. 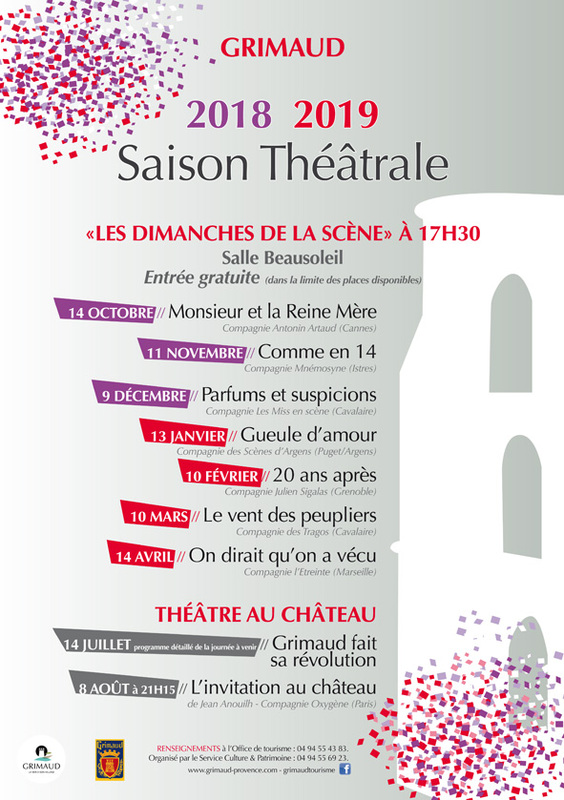 Starting from the graphic concept of the previous year, we changed the colors and replaced texts and images. Do not hesitate to contact us for any graphic design, logos, graphic identity, graphic charter.